We know that you do not like to carry too many boards while traveling. You can rent our F-one or Jimmy Lewis surfboard at 1000 NT per day. 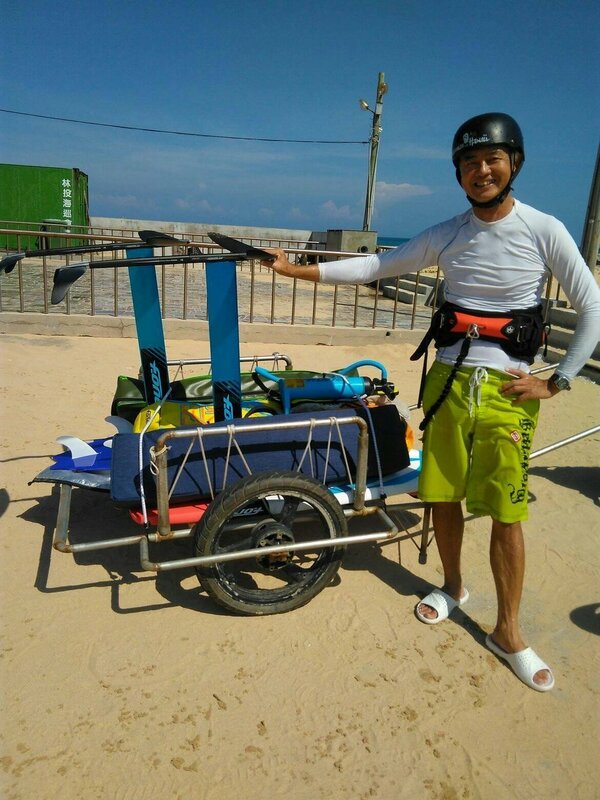 If you do not have the right size kite for Penghu's strong wind, we will rent our small sized kite to you , you can choose from many brands, such North, Slingshot, Cabrinah and F-one. If you are interested in hydrofoiling, you can rent our advanced f-one hydrofoil to enjoy the magic ride above the surface of water. Advanced booking is required. We will stop the lesson if wind is over 30 knot. 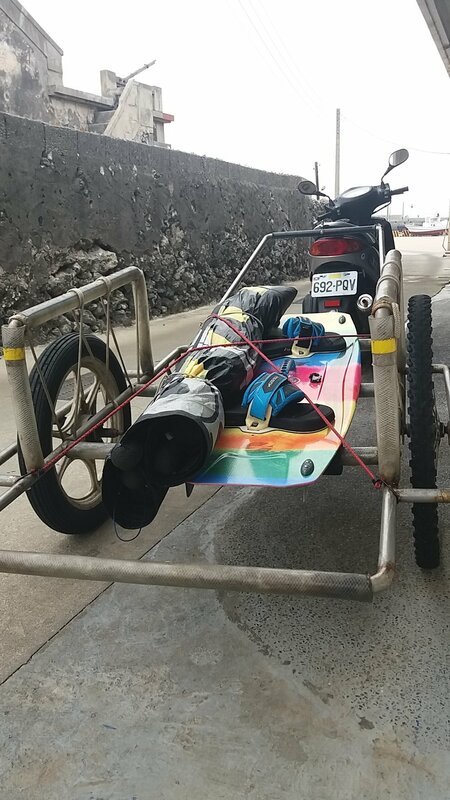 If you are interested in hydrofoiling, we got you covered. Learn hydrofoiling with state-of-the-are f-one equipment and you can progress much faster than using other beginner foils. (1000 NT off for Sunrise BnB guests). Windsurfing Rental: 2000 TWD/day, 10,000TWD/week. We have many advanced boards for you to choose from. We know you want to save money when you are on vacation, therefore we offer the best value of transportation when you are in Penghu. 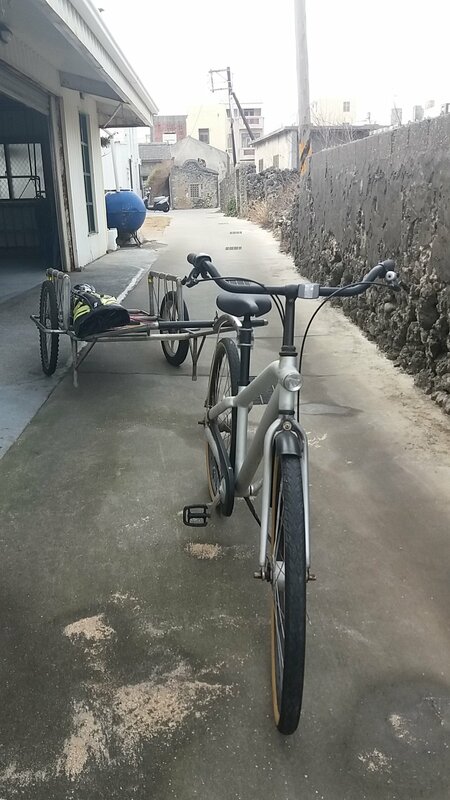 A 125cc scooter will take you anywhere in Penghu. We have well-maintained scooters in house for rental at 400 NT per day. We also have custom-made trailer to carry your kitesurfing equipment for only 100 NT per day. The combo is so cool that you would love to have one set for yourself when you go home. You may leave your kite gears in our garage. You can also hang you kite drying before packing it down for travel.